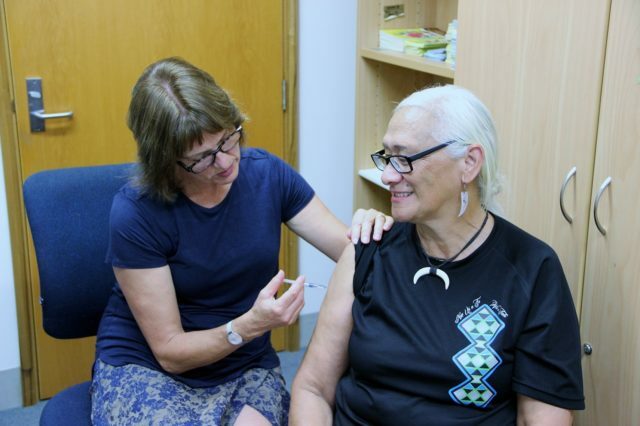 Photo caption: Lily Palmer receives her vaccination from Lisbeth Alley. 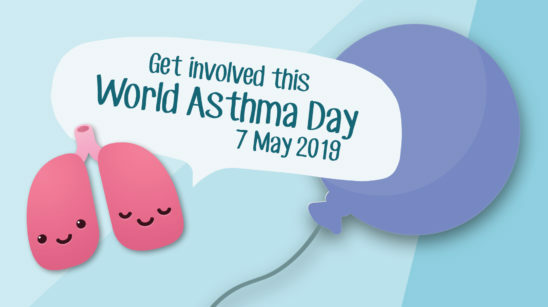 For example, adults and children with asthma are more likely to develop pneumonia after getting sick with the flu than people who do not have asthma. 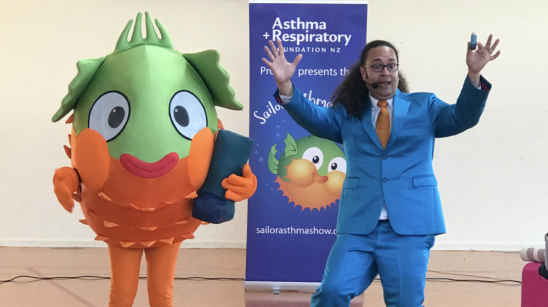 If you have been diagnosed with asthma and are on a regular preventative therapy, or have another chronic chest or breathing condition, you are eligible for a free flu shot from a doctor or nurse. Flu can be anywhere, so you can easily catch it. Influenza is not the same as a cold. It’s a serious disease that can also make other existing conditions, such as asthma, even worse, and it can kill. The natural decline in immunity associated with aging can increase an older person’s vulnerability to both the risk of infectious disease and serious complications. Older people have lower physiological reserves to aid a return to pre-illness function. Research shows that you can infect others with the flu virus even when you’re not showing symptoms yourself. 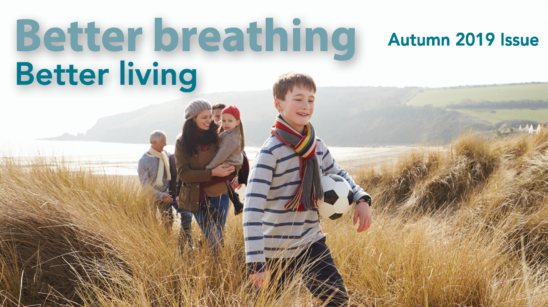 So, if you’re caring for someone with asthma, you can help avoid passing the virus on to them by being immunised. The influenza vaccine is a prescription medicine. Talk to your doctor, nurse or pharmacist about the benefits and possible risks. And, if you’re 65 years and over, ask if you’re also eligible for free shingles immunisation. 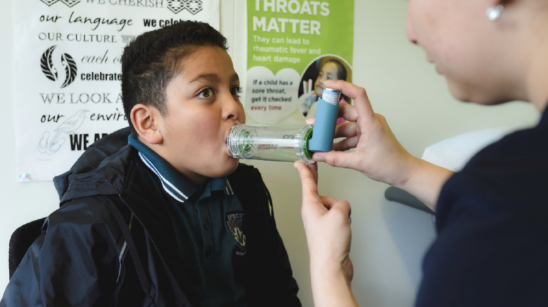 Combining school-based screening with in-home assessments to improve asthma diagnosis and management.